The actual origin of the "Blue Pill" is obscure, but it was within the Royal Navy that it first rose to massive popularity. Also known as the "Blue Mass" when in non-pill form, it was used to treat any and everything. Consumption (tuberculosis), toothache, parasitic infection, syphilis, the pains of childbirth and depression all required the use of the blue pill. It was equally effective for each, which is to say not at all. For sailors of the Royal Navy, on a steady diet of salted meat and ships biscuit, constipation was often a problem. Against constipation the blue pill was effective, but its prolonged use brought on a host of other complications due to its toxicity. During the 19th century these toxic side effects were usually attributed to the original ailment. Recipes varied between different doctors and pharmacists, but the major ingredient in all recipes was mercury, also known as quicksilver. Other ingredients might include licorice, dried rose petals, althaea, glycerol, sugar and honey. The name probably derives from the use of blue dye or blue chalk used as a buffer in some recipes. Mercury is a powerful neurotoxin. Common symptoms of mercury poisoning include irritability, anxiety, hostility, depression, insomnia, memory loss, nerve damage, tremors, tooth loss and problems with dexterity. 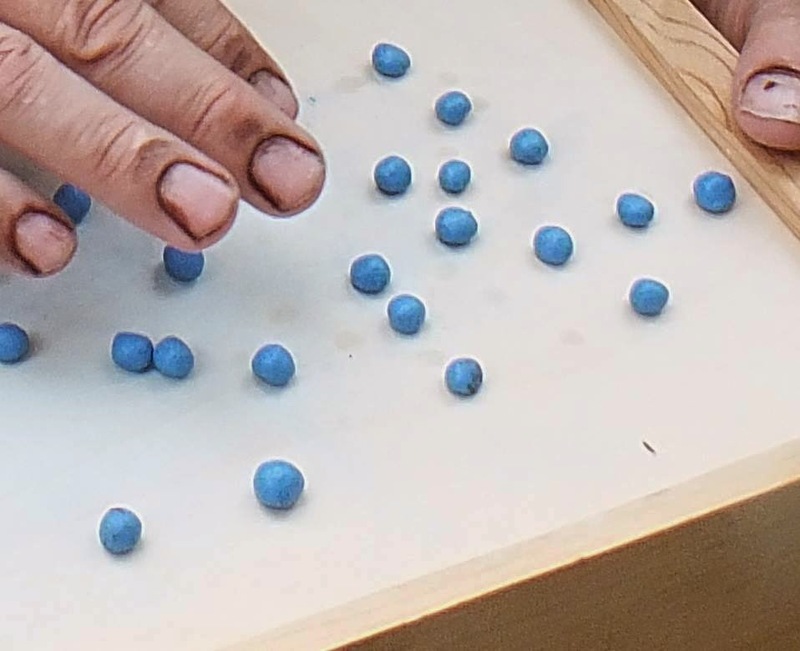 One group of modern researchers recreated blue pills using 19th century ingredients and equipment. They found that for each pill ingested the patient would absorb about 750 micrograms of mercury. The typical 19th century dosage was one pill two or three times daily. The U.S. Environmental Protection Agency currently says that adults should consume no more than 21 micrograms of mercury in one day. The symptoms may go away over time if no more mercury is ingested. Famous users of the blue pill include Ulysses S. Grant and Abraham Lincoln. Many modern researchers believe that Lincoln's reported erratic behavior prior to taking office was due to blue mass he took for depression. He eventually stopped taking the concoction because he believed it made him "irritable".